Three patients infected with the deadly Ebola virus escaped from a hospital holding them in a quarantine station in Mbandaka, Congo. Two of the patients got out on Monday but were found dead a day later, Henri Gray, the head of (MSF) mission in the city confirmed. “Another left on Saturday, but was found alive the same day and is now under observation. “This is a hospital. It’s not a prison. We can’t lock everything,” he said. The report came as the World Health Organization warned that the fight to stop Democratic Republic of Congo’s ninth confirmed outbreak of the hemorrhagic fever had reached a critical point. “The next few weeks will really tell if this outbreak is going to expand to urban areas or if we’re going to be able to keep it under control. “We’re on the epidemiological knife edge of this response,” WHO’s head of emergency response, Chief Peter Salama told ministers and diplomats at U.N. body’s annual assembly. 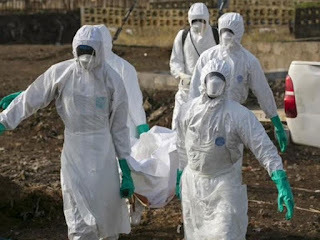 The outbreak, which was first spotted near the town of Bikoro, about 100 km (60 miles) south of the city, is believed to have killed at least 27 people so far.